Red Moon Herbal Medicine website is under construction. Check back soon for more information or contact us now for an appointment. To book an herbal consultation with Lena please email office@redmoonwellness.com. Lena is the founder of Red Moon Wellness in Park Slope, Brooklyn. She is a clinical herbalist, licensed massage therapist, certified birth doula, certified lactation counselor and certified childbirth educator. 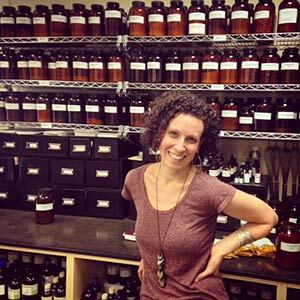 Lena offers individual herbal medicine consultations for women, men and children at her office in Park Slope. She began studying herbal medicine 9 years ago, first through two apprenticeships (one at Alba Nueva herb farm in Costa Rica with Dr. Ed Bernhardt and another at the Heartstone Herbal School near Ithaca, NY with Tammi Sweet and Kris Miller) and then went on to receive a Master of Science in herbal medicine from Maryland University of Integrative Health (MUIH), formerly known as Tai Sophia Institute. She also completed a one-year post-graduate clinical internship in herbal medicine at MUIH's Natural Care Center. 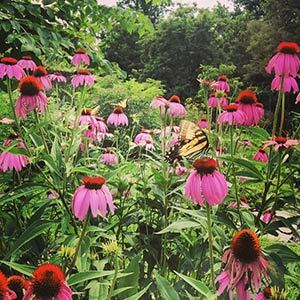 Lena is currently a faculty member at the ArborVitae School of Traditional Herbalism in Manhattan where she teaches about women's reproductive health and herbal therapeutics. She also teaches Optimal Nutrition for the Childbearing Cycle for the Childbirth Education Association of Metropolitan New York (CEA/MNY)'s Teacher Certification Program. She has previously taught massage, supervised student clinics, and written prenatal massage curriculum at Queensborough Community College in Bayside, NY and the Finger Lakes School of Massage in Ithaca, NY. In her award-winning graduate research while at MUIH, Lena developed a new theoretical model of uterine contractility states and herbal therapeutics by integrating a traditional "tissue states" approach to uterine tonicity with biomedical evidence on uterine contractility. One of her core clinical interests involves the relationship between herbs, nutrition, and the microbiome (especially concerning early microbial establishment through practices surrounding pregnancy, childbirth, and infant feeding) and its impact on disorders related to immunity/inflammation, metabolism/digestion, and neuroendocrine function. Lena enjoys working with clients of a variety of backgrounds to help them find practical and effective tools to support their health and wellness.